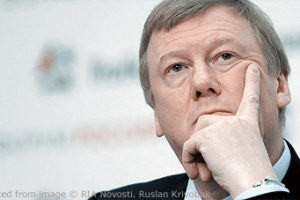 He and they, Chubais tells the RBC news agency, particularly failed to consider that “Orthodoxy is a serious and fundamental institution which one must understand rather than ignore.” Another failure was their failure to understand that “the Russian people is not the same as the Ukrainian people” (rbc.ru/society/17/01/2018/5a5f849e9a794744b994f95c?from=newsfeed). There are features in Russian culture which have held the country back, he continues, but there are other parts of this cultural tradition which could and have made a more positive contribution. Failure to consider that was a mistake, and had he and the reformers not made it, they would have developed a different and more successful strategy. Over the last 20 years, he says, Russian nationalism ahs evolved significantly. “Only someone incapable of seeing his own nose would fail to see that.” Chubais adds that “nationalists now are in the governments of no fewer than 15 European countries,” a trend that is very suggestive. The Russian reformer does not say but he very well could have that one of the reasons Russian reformers approached things as they did is that they were encouraged by their Western advisors who also downplayed the important of cultural differences and argued, from their triumphalist positions, that on key issues, one size fits all. Igor Eidman, a Russian commentator for Deutsche Welle, says on his Facebook page today that Chubais’ recognition of the importance of culture and religion is “valuable,” but he expresses skepticism about how genuine the reformer’s transformation has been (facebook.com/permalink.php?story_fbid=1736157756447196&id=100001589654713). Until recently, Eidman says, “Chubais was certainly the politician in Russia most distant from Orthodoxy and Russian nationalism.” And the simplest explanation for his new political line is that is that the reformer “simply wants to become part of the Putin ideological mainstream” rather that remaining an outlier. He needs state support for ROSNANO.